RAC - I Say Ding Dong Shop - Buy Stickers, Decals & Unique Automobilia. 'Running In - Please Pass' RAC & AA Racing Sticker. 16". 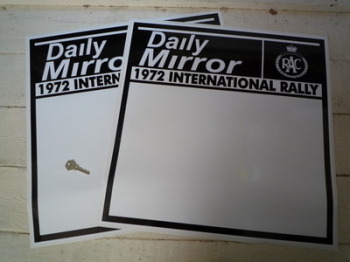 Daily Mirror RAC 1972 International Rally Door Panel Stickers. 21" Pair. Daily Mirror RAC International Rally 1971 Door Panel Stickers. 18" Pair. 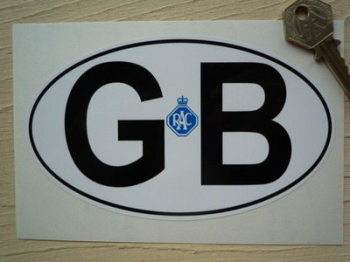 GB Old RAC Black on White ID Plate Sticker. 6". 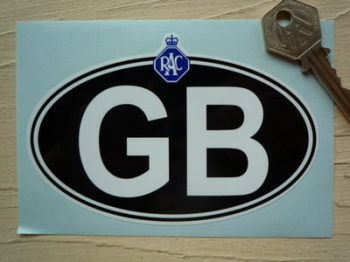 GB Old RAC White on Black ID Plate Sticker. 5". 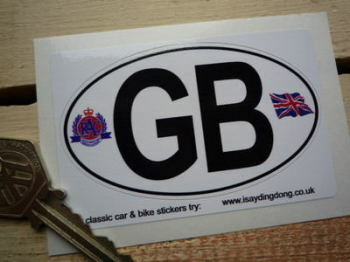 GB RAC & Union Jack ID Plate Sticker. 3.5" or 6". Istel RAC Tourist Trophy Black & Blue Sticker. 16". Istel RAC Tourist Trophy Black & Turquoise Sticker. 16". 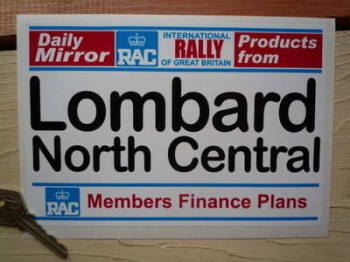 Lombard North Central RAC & Daily Mirror Rally Plate. 8". 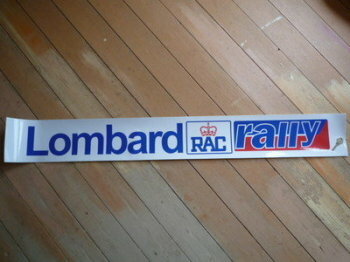 Lombard RAC International 1974 or 1975 Rally of GB Door Panel Stickers. 20" Pair. Lombard RAC Rally Red & Blue Screentop Sunstrip Visor. 52". Lombard RAC Rally White & Blue Screentop Sunstrip Visor. 45.5". RAC & AA 'The Village Garage' Service Sticker. 4.25". RAC 60's 70's Style Blue & White Sticker. 6" or 9". RAC 60's 70's Style Cut White Vinyl Sticker. 5" or 8". RAC British Motor Sport 1979 Competition Licence Holder Static Cling Sticker. 3.5". 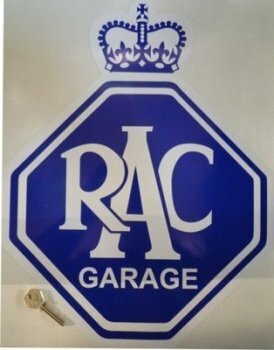 RAC Large Garage Sticker. 14" x 18". 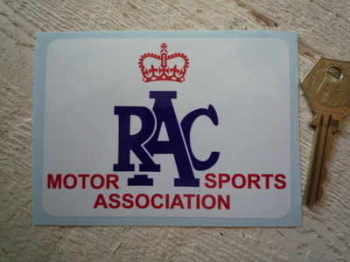 RAC Motor Sports Association Static Cling Licence Holder Window Sticker. 5". RAC Motor Sports Association Sticker. 4". RAC Old Style Static Cling Sticker. 3" or 4". RAC Old Style Sticker. 2.5", 4.5" or 8". RAC Racing Here Today Banner Art. 30". 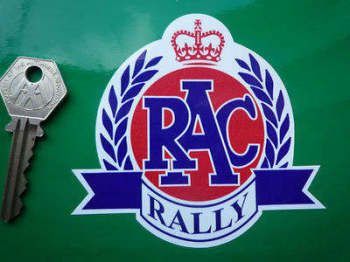 RAC Rally Garland Sticker. 4". RAC Rounded Garland Sticker. 2.5" or 4". 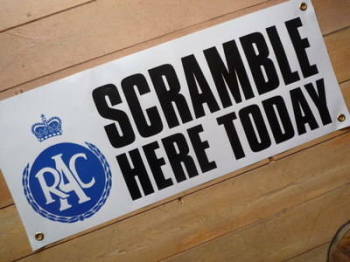 RAC Scramble Here Today Banner Art. 30". RAC Speed Trials Here Today Banner Art. 30". RAC Speed Trials Here Today Banner Art. Special Offer to Clear. 26" x 10".